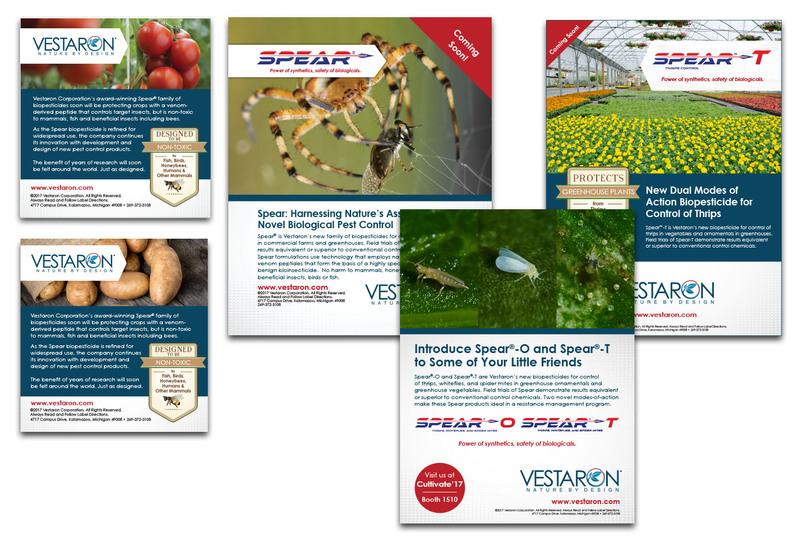 Vestaron Corporation is a leading innovator in the market of safe and effective bioinsecticides. 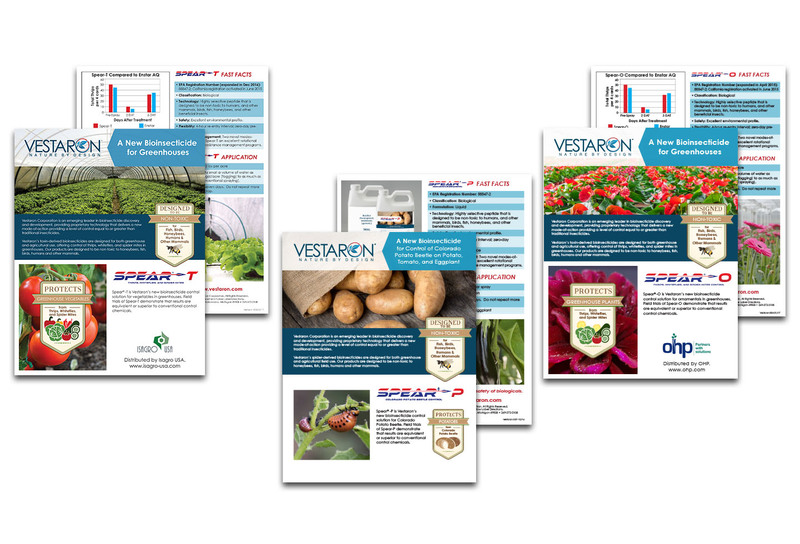 Group Leaf created a new brand look and applied it across various marketing materials including trade show banners, posters, sell sheets and a new website. The agency also coordinates the company’s media and public relations efforts. 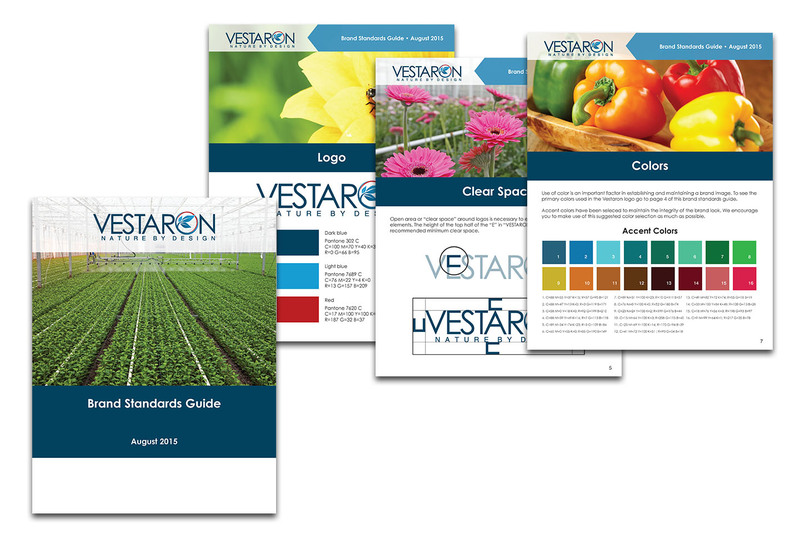 Developed a look presenting Vestaron as an advanced technology company, while still appealing to an agriculture audience. Used icons and badges to simplify important information and achievements. 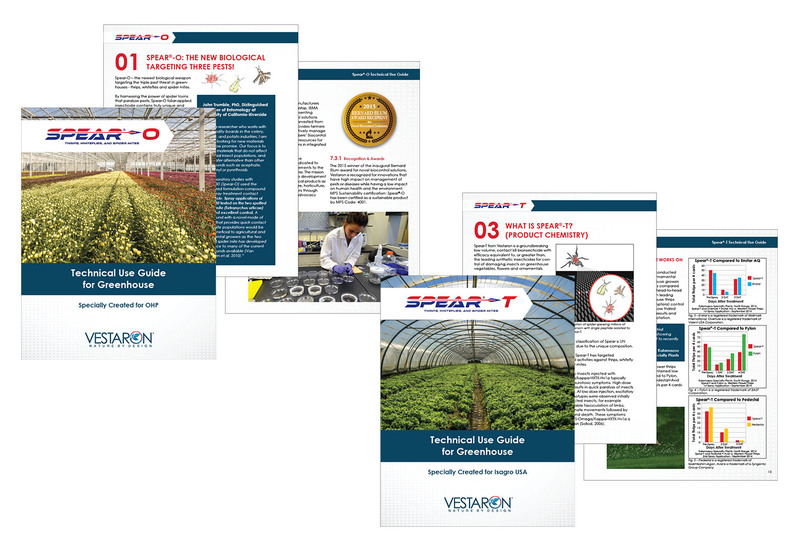 Created literature providing growers, investors, trade show attendees or other interested parties easily digestible information. 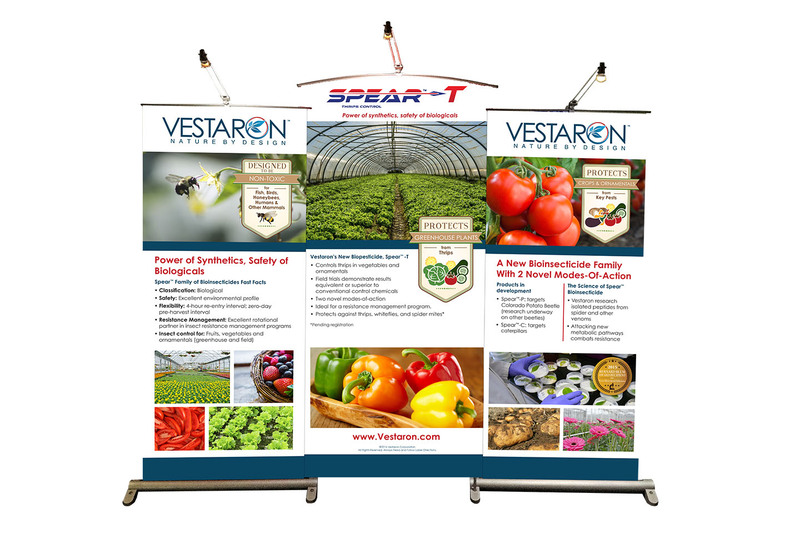 Produced and shipped booth panels for various trade shows that were informative, eye catching, but still easy to read. 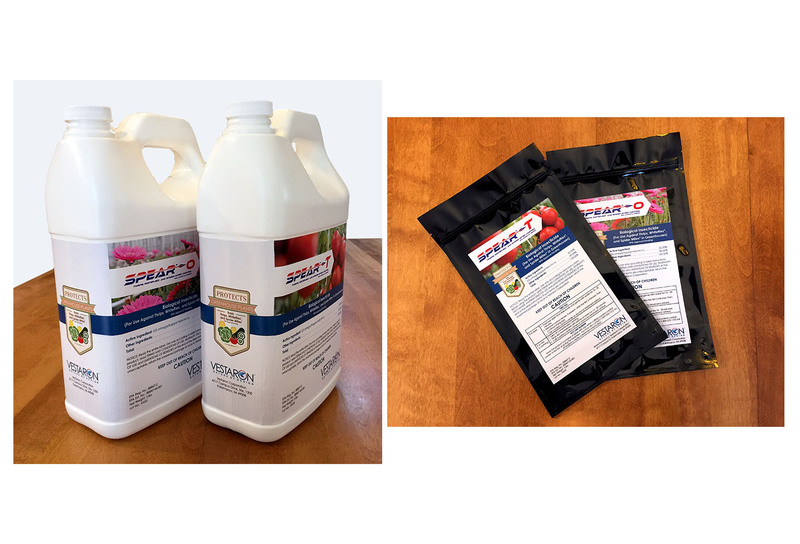 Produced packaging labels in a variety of sizes and styles. 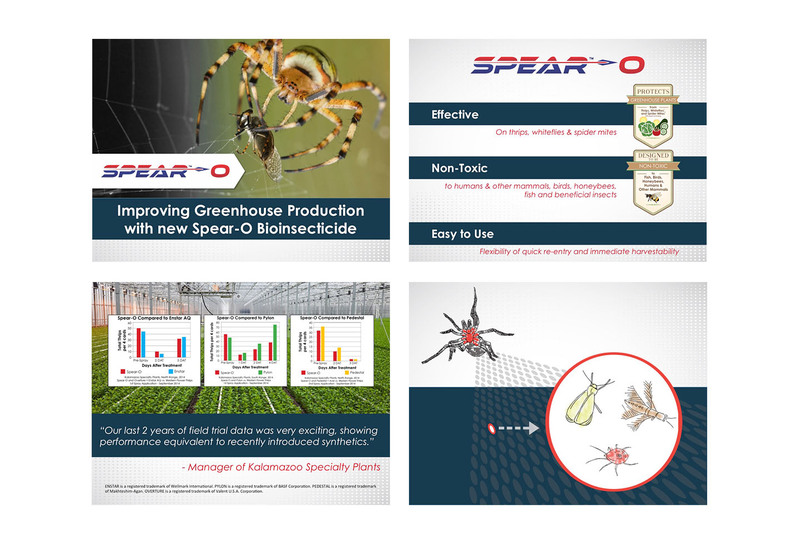 Created visuals for internal product training presentation. Designed and produced binders with extensive label and usage information for a corporate training presentation. Coordinated promotions and media interviews for trade shows, new products and corporate announcements. 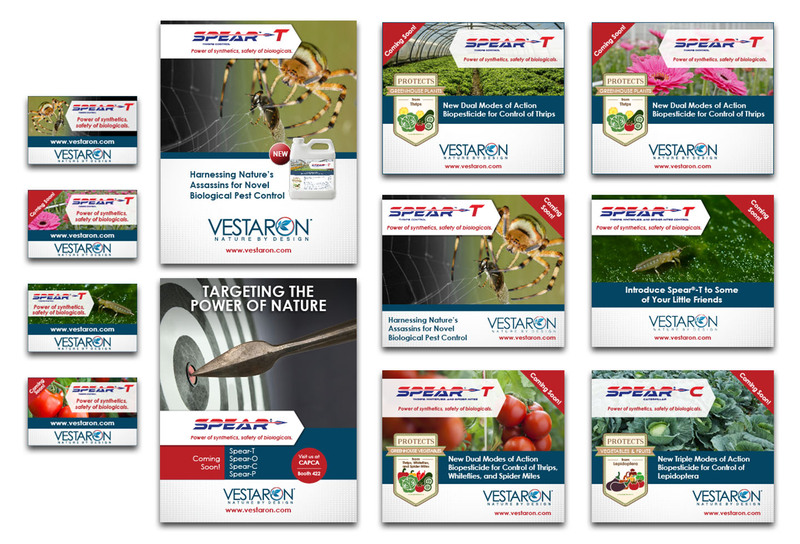 Produce, size and submit print ads with intriguing photos and content. 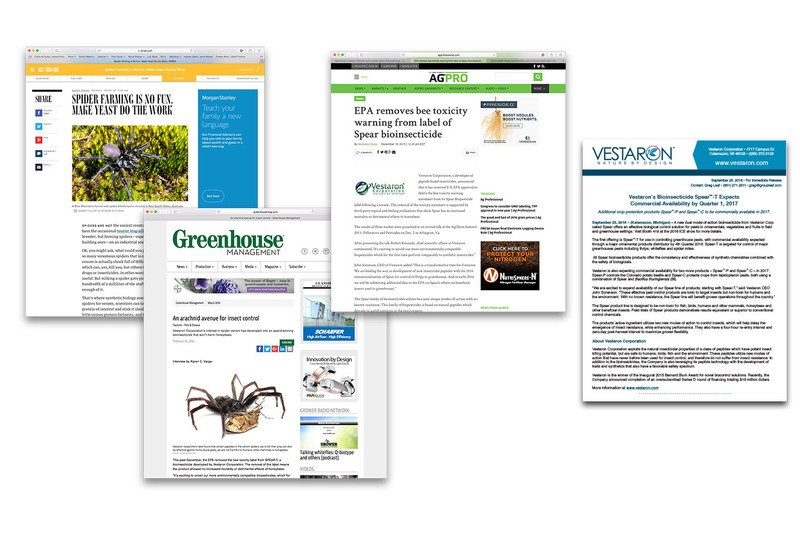 Produce, size and submit web ads, tracking clicks and designing creative to fit all size constraints. 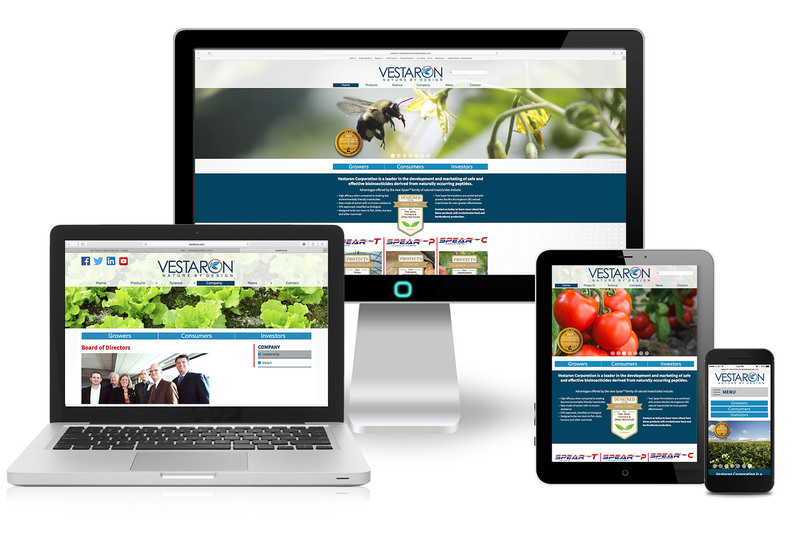 Built and regularly update responsive, user-friendly website with both important trial information and visual appeal. Animated complex product mode-of-action into a video that is easily digestible for people with or without a technical background.